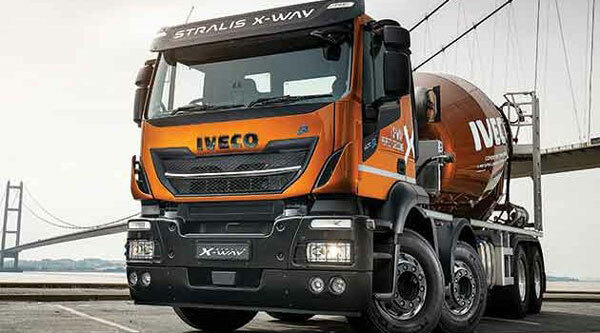 Last year, Iveco introduced the Stralis X‑Way – heralded as ‘the lightest [vehicle] in the construction sector’. The manufacturer did not pull any punches with the promotional material: X‑Way ‘raises the stakes in light offroad missions with the highest payload in its segment’ and ‘combines the best of Iveco’s fuel efficiency and safety technologies with the brand’s most robust chassis design’. With Iveco’s usual 8×4 offering Trakker well-equipped for the heavy-duty, it was also a heavyweight. Certainly too heavy for the part of the construction market where the emphasis is payload. By shedding 750kg, Iveco’s new-look X‑Way has become competitive in the lightweight market but operators are fickle and do not want lightweight at any cost. They need durability too and not something that will fall apart on the first building site. 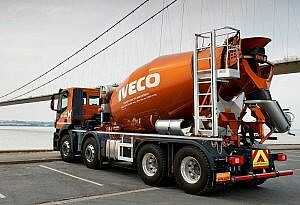 So, has Iveco been able to make the weight without weakening its performance? The wider X‑Way line-up offers of 9-, 11- and 13-litre engines that use selective gas recirculation (SCR) to achieve Euro 6 emission standards. For CV Driver magazine, Iveco put forward its Stralis X‑Way Super Loader (SL) – a new contender on the mixer market. On the back of the chassis cab is the SLX8 mixer barrel, which has an 8m3 capacity that takes it up to a tad over 19 tonnes payload. For the UK sector, SL is available with four wheelbases (first to third axle); 4,750mm, 5,020mm, 5,600mm and 5,820mm. 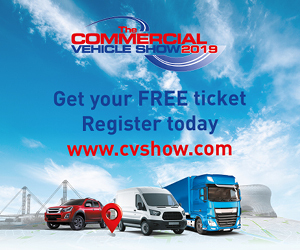 Choose the shortest wheelbase and the kerb weight is an impressive 8,833kg (with no driver) and full 290-litre diesel aluminium tank and 50-litre AdBlue plastic tank. For this test Iveco has specified a 5,020mm wheelbase with an overall length of 9,448mm. With alloy wheels taking off up to 165kg it brings the kerb weight for this chassis-cab down to 9,210kg, leaving 22,790kg for the bodywork, payload and driver. to third axle) it’s 9,353kg. Caveats include steel wheels, 220-litre aluminium diesel tank, 45-litre AdBlue and no driver. For MAN’s TGS with a slightly heavier D26 12.4-litre engine it’s 9,277kg, also on a 5,000mm wheelbase, alloy wheels, Tipmatic automated transmission, a 300-litre steel diesel tank and 35-litre AdBlue tank. The Iveco chassis is fitted with reinforced front stabilizer bar and two rear stabilizer bars. Typically, the steel suspension will have a two-leaf at the front and three leaf at the rear. An option is a one-leaf optimised suspension on the front axles and two-leaf on the rear axles, which lowers kerb weight by up to 60kg. Also helping to drop weight is the vertical exhaust stack behind the cab, rather than additional pipework on the chassis, and the use of disc brakes on the front and rear bogie. It’s also worth noting that this truck came with the optional, heavier steel front bumper; plastic is standard. The driveline for SL is the Cursor 9 8.7-litre, six-cylinder direct injection engine, the only option available. There is no physical weight saving choosing a lower horsepower. Cursor 9 offers four badged drivelines, listed with true horsepower outputs: 310 (306hp and 1,300Nm); 330 (326hp and 1,400Nm); 360 (355hp and 1,650Nm) and 400 (394hp and 1,700Nm). Turning power into motion via the prop shaft to the single-reduction drive bogie is the automated ZF 12-speed 1810 TD transmission with manual override, with gears ranging from 16.69 to 1:1 direct top. It is also fitted with a two-stage engine brake that delivers 891Nm at 3,000rpm. Iveco has also turned to ZF to provide a permanently engaged PTO that can deliver up to 2,450Nm. It is installed between the transmission and vehicles engine, is driven directly from the engine shaft and features its own cooling circuit and oil sump. The X‑Way line up for construction has a choice of cabs: the AD (Active Day) short cab with low roof, AT (Active Time) sleeper cab with low or medium roof, and AS (Active Space) sleeper cab, which was designed around the driver for the long-haul missions of the New Stralis XP. For the SL it is only the AD cab, which doesn’t afford much space or storage. Overall the cab is 3,060mm high, with a 1,490mm cab floor height and 360mm engine tunnel. Internal cab height is 1,210mm upwards from the engine tunnel, and from the windscreen to the back wall its 1,660mm. There’re three fixed steps into the cab, which is the ON Step option. For greater visibility, there is a rear window to allow the driver to see back towards the barrel and down onto the nearside of the vehicle. 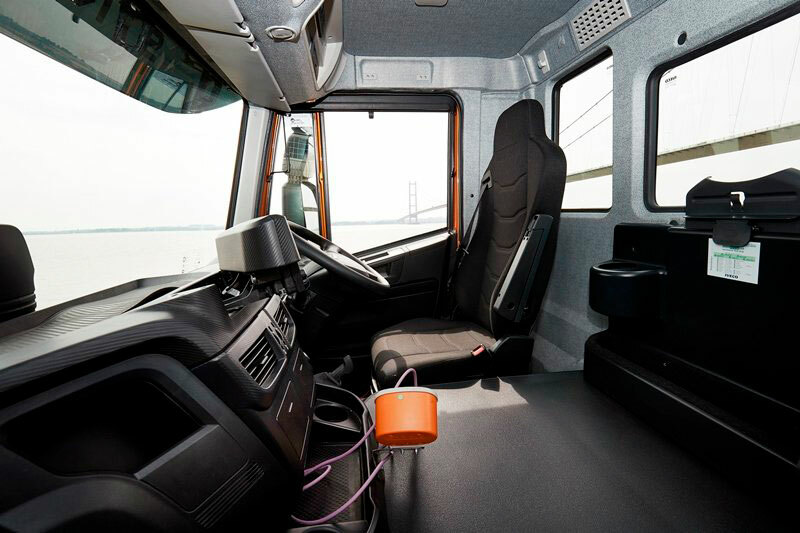 Thankfully Iveco has not gone overboard with the cab’s revamp, so the switches and controls are familiar. Transmission is set into the dashboard to the left with D (drive), N (neutral) and R (reverse). Positioned on the top right of the central dashboard that houses the speed and revs is SL, which is not a misplaced logo but the ‘speed limiter’. Press it once and a small visual on the top left of the dash indicates the selected limited speed. 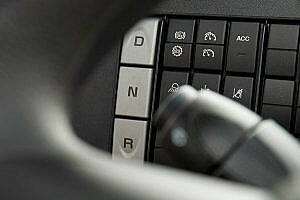 On the right stalk off the steering column is the cruise control with a rocker switch on its end that sets the cruise control speed and changes the set speeds up and down, one kilometre at a time. 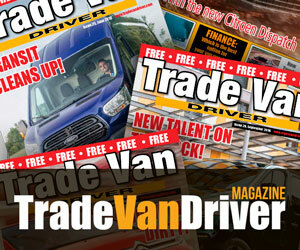 Press D, release the hand brake (Iveco has retained a traditional lever) and away you go. These days more operators are going for 394hp at 32 tonnes gross vehicle weight, and rightly so. This engine is a proven entity and it continues to impress. Torque kicks in properly from 1,200rpm, and with a 3.40:1 final axle drive ratio it just allows you to drop into top gear at 40mph on the flat. Any incline and it’ll change down to cope. At 50mph it sits at a tad below 1,400rpm that’ll ensure maximum fuel economy. The test route took in East Yorkshire. From the Humber Bridge the route went north via Beverley, then west to Market Weighton and York, south east to Howden and finally back eastwards to the Humber Bridge. What emerges from the test drive is just how smooth and responsive the truck is as it manoeuvres through roundabouts. On the open road it feels more akin to long haul than a rugged, site-to-site eight-wheeler. Fitted with only an engine brake, it works impressively at 3,000rpm slowing the vehicle enough before introducing the disc brakes to bring the truck to a halt over the last 20 yards. With a higher centre of gravity and loving load, stability is critical, and the SL copes well with lateral movement on tight bends. In terms of meeting its aims to combine ‘fuel efficiency and safety technologies with the brand’s most robust chassis design’ it’s a success. As for being the lightest, Iveco will have to settle for the ‘also-ran’ tag. 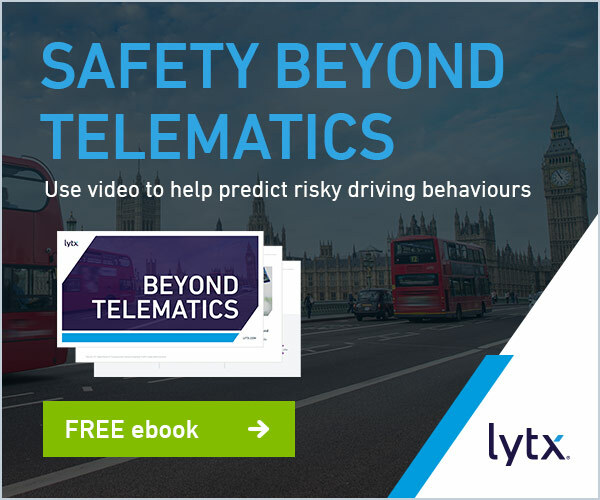 Being the lightest will depend on how operators specify the truck before it begins to work. However, X‑Way is a new vehicle and it’s now competing on equal terms within the concrete sector, which is no small achievement. 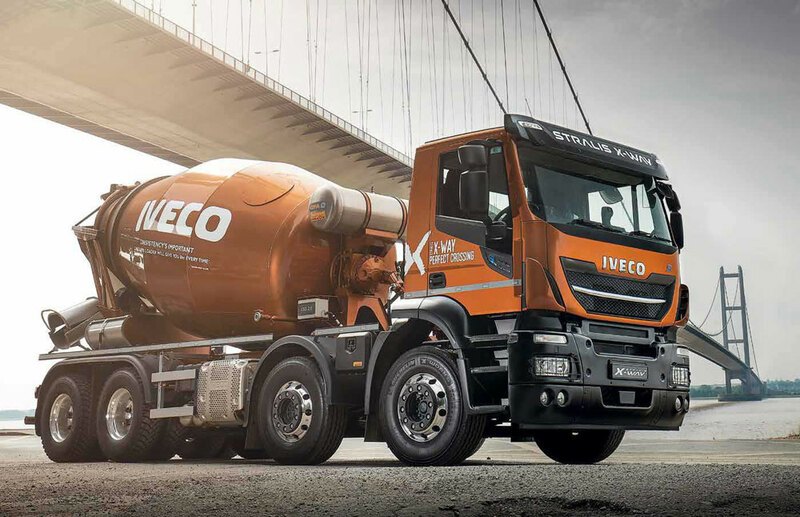 To become a lightweight champion in the lightweight construction market you must first be taken seriously as a contender, and in that respect, Iveco has already been successful. 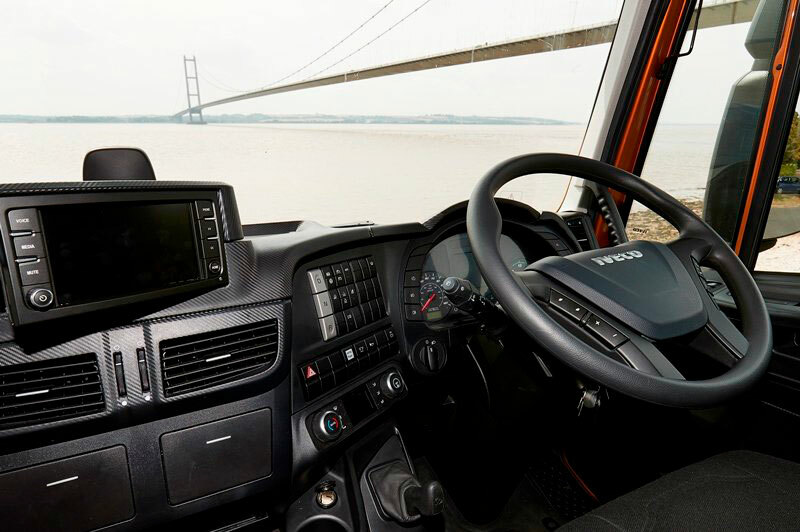 Tom Cunningham photographed the Stralis X‑Way on a route around the Humber Bridge – a 2,220-metre singlespan suspension bridge which opened in 1981. At the time, it was the longest of its type in the world (it’s now the eighth-longest). Central to its design was the 480,000 tonnes of concrete used in its construction – which, had it been delivered to site by 8×4 mixers, would have taken approximately 25,000 trips by the Stralis X‑Way mixer in the configuration we road tested. IVECO believes this carrying capacity is second-to-none on a 32-tonne rigid with a 3mm drum (the spec preferred by most operators), thanks to the X‑Way’s ability to consistently carry 8m3 of concrete per journey. This would reduce the number of deliveries required to site for this mammoth project by approximately 300 trips shaving more than a month of the construction time, versus the average payload capacity of a similarly specified vehicle. And whilst few projects in the world would require this much concrete, over the typical lifespan of one of these vehicles, the ability to carry a greater payload and make fewer trips, whilst in turn reducing fuel consumption and operating costs, has the potential to make a healthy contribution to any operator’s bottom line. Cab: AD Active Day cab. Engine: Cursor 9 8.7-litre, six-cylinder direct injection engine using SCR to achieve Euro-6. Maximum power: 394hp between 1,655-2,200rpm. Maximum torque: 1,700Nm between 1,200 and 1,655rpm. Gearbox: ZF 12-speed 1810 TD transmission with manual override. Suspension: Front axle bogie, steel twin-leaf parabolic; rear axle drive bogie; steel three leaf parabolic with two stabilizer bars. Parking brake: Air-operated spring brake actuators on first and drive axle. Secondary brake: Two-stage engine brake that delivers 891Nm at 3,000rpm. Steering: Recirculating hydraulic power assisted. Wheels: 22.5 inch Alcoa Dura-Bright aluminium. 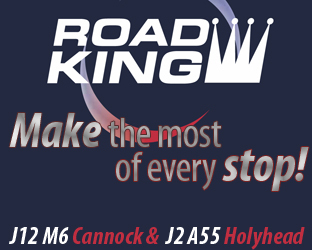 Tyres: Front steer axles, 315/80R22.5; rear drive axles, 315/80R22.5. Fuel/AdBlue Tank capacities: 290 litres diesel, 50 litres AdBlue. 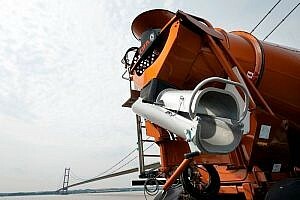 Bodywork: Wilcox SLX8 mixer barrel, with 8.0m3 capacity achieving 19.2 tonnes payload. Weather: Dry, bright with little wind. Temperatures peaked at 23 degrees.